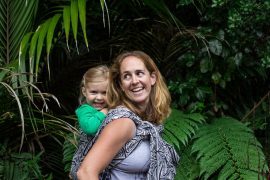 Are baby slings and carriers worth it? From time to time websites publish articles that suggest that baby carriers can be an expensive waste of money, or featuring them in the “top ten most useless items”. Is there any truth in these claims? The best people to ask will of course be those who work with slings and carriers daily and know how to use them, and a wide cross-section of families! One person’s experience is not enough to make an informed decision, so take such “lists” with a pinch of salt. Let me begin by saying first of all, that carrying babies is important; our babies need to be held close to us so their brains and bodies can grow optimally and thrive. Loving nurture and connectedness in the early months and years predicts a more positive future for a child. Holding and carrying babies is free, all you need is your arms! 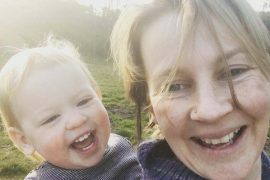 However, few of us manage to hold babies for any length of time as our bodies are often not as strong as they used to be, and few of us have the luxury of being able to take the time to just cuddle babies. This is where baby slings and carriers can be so useful, providing nurture while life goes on. 1) Babies cry in slings so parents don’t use them, wasting their money. 2) They are only used a handful of times as they can make babies clingy, so they are a waste of money. 3) Babies grow out of the carriers in a short space of time, so they are a waste of money. 4) They are difficult to use and uncomfortable, so are not worth spending money on. 5) They are a new fad or a marketing gimmick, so don’t waste your money! You get the idea! All these reasons are easy to refute, and issues are often simple and easy to fix, when you know how. There is a wealth of guidance and support out there; both online (such as the Carrying Matters Guide to Slings or social media groups) and in person at sling libraries. This is a common problem. “Slings are great for sleeping, all the photos on the internet show peaceful babies snoozing away, don’t they?” So a tired and anxious parent with an irritable baby tries the carrier. As soon as they put the baby in, the baby cries, so they take the baby straight out again, and everyone is that little bit more irritable and harder to calm down. Or they may put baby into the carrier, and it seems to have lots of bits and clips that are hard to navigate and do up, and as they struggle, baby loses patience and begins to cry, so they take the baby out. Perhaps the carrier isn’t the right size for the baby so baby feels too enclosed and cannot see, or has fabric in front of the face, and begins to cry. Perhaps baby is hot and being placed in a carrier makes them feel warmer, or the carrier isn’t comfortable. More often than not, babies cry for many other reasons, such as being overtired (and being put into the carrier is one stimulation too far). They may be hungry or thirsty and upset that they aren’t being fed. They may be aware of their bowel needing to move, or need a change of nappy. They may have that mysterious thing called “colic”. 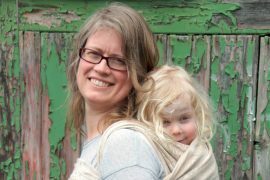 It’s easy to see why people may believe that their babies hate slings…when in fact there are usually a lot of things that can help make it work happily for everyone. Babies cry in arms and in car seats and in cradles and in buggies; after all. It may just take a little getting used to, for you both, a little practice without the baby, reading the instructions or videos before you try the carrier. Carriers may look complicated, but there are many very simple ones around; it will be worth doing a little research and trying things out at your local library. The majority of babies love their carriers, when they are comfy and parents are confident. A little guidance from someone with sling training at a sling library or someone with a lot of real-life experience will be enormously helpful. Read this “help, my child cries in the sling” article for more guidance. Actually, there is no reason why baby carriers should only be used a handful of times, they are simply tools to keep babies close, where they belong. If they are not comfortable, get some help! Babies need to be held and carried, often, every day. Babies’ bodies are perfectly developed to spend their first few months close to their parents; the parent’s body is the normal biological habitat for a pre-walking child. 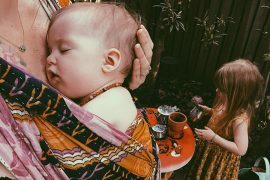 We as a culture put our babies down too quickly, rather than giving them the close nurturing contact their bodies and brains need to develop optimally and thrive. 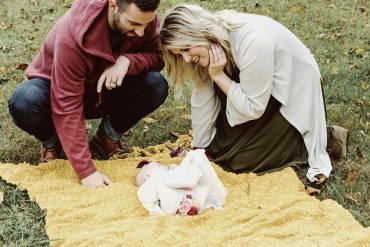 We know that the more connected a baby feels to their primary caregivers, the more secure they feel in their relationships, and the more confident they become to explore the world, as they have a reliable foundation to rely on. If your baby feels heavy in your arms, keep on carrying, your muscles will tone and strengthen alongside theirs. They will learn to grip onto you and become easier to carry. If you need your hands back or your arms feel too tired, use a comfy carrier to help keep your baby close. It will not make them clingy (read more here); it will help them develop a secure attachment to you and become a more confident child. This depends enormously on the carrier, of course. Stretchy wraps that mimic the cuddly closeness of the womb are indeed meant to be used primarily with small babies, as they are designed to work with the baby’s needs at this stage. A baby of a few days old is vastly different from a five month old! However, a comfy one-size-fits-all stretchy wrap or Close Caboo that has been worn on you every day, with baby being popped in and out without endless retying is enormously valuable. It has helped to soothe your baby, helped them to sleep contentedly in their favourite place, helped them learn to be loved and helped them build trust in this particularly vulnerable stage while you have your hands free, this makes it worth every penny. Many parents then move on to an alternative for an older baby (in the same way they would do with a car seat), grateful to the sling for all it has given them. Many pass it on to their friends to appreciate and enjoy with their own babies! 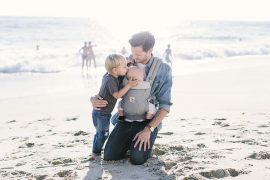 Many baby carriers (usually ones made by specialists in this area) have been designed to grow with the baby into toddlerhood, rather than lasting only a few weeks. 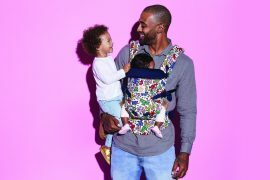 Most well-designed brands will be able to back carry older babies safely and comfortably, making them longer lasting and more useful. It is worth doing some research; such carriers are often more expensive than supermarket or online options, as you would expect, due to the time spent on their design, as well as their comfort, sturdiness and longevity. If you are on a budget, there are ways to find carriers that will be comfy and last a while. Look for good quality carriers second-hand, ask your local sling libraries if they can recommend any brands to look out for, or any good selling groups. Many of your friends may have carriers they would love to pass on to you. They may say “it never worked for me” as they pass it on…but don’t be discouraged, seek sling support so that it can work for you! Some areas have special schemes to help families in hardship. Some shops may do payment plans or layaways. An investment in a comfortable sling that will last into toddlerhood may feel like a big outlay, but may end up less expensive than buying three or four cheaper carriers that never feel right and aren’t used at all. 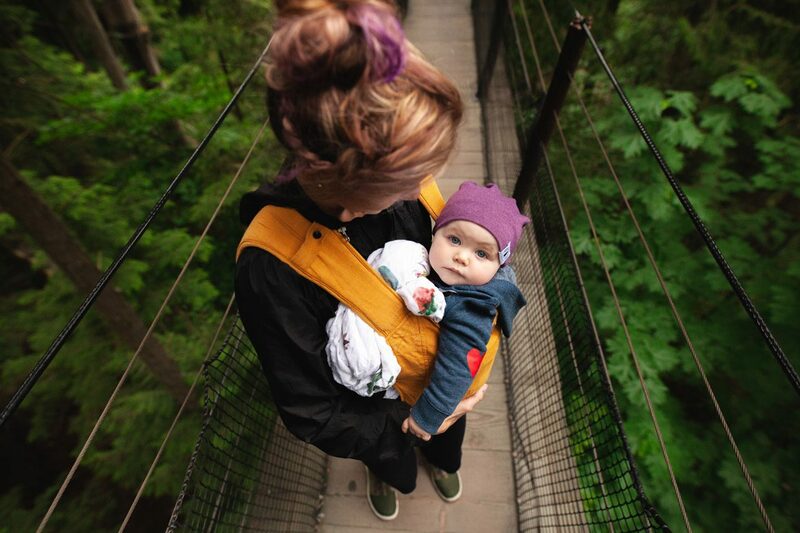 A comfy carrier that you love and use daily may well become one of the most important tools in your parenting journey, and worth every penny.